He’s glorified because he’s a good coach and did a great job here. I don’t see any angst over “what if he were still here” we all know that there was nothing we could do to make him stay. There would probably be much less glorification if we were having success without him. Visual, you make too much sense. Agree, DP is a heck of a coach. When UT calls and you're a Texas boy it's hard not to go. Almost every kid in Texas wants to play for UT and DP's dream job was coaching them. I think he is glorified on this forum to put down the current coach and staff. And I think you do as well. Texas is in the CWS for the 36th time. Nah, if I want to put down our current coach I’ll just do that. I have no problem doing it really. He’s done an awful job. He is pointed to on this forum by those that think Tulane is able to have a successful baseball program despite whatever rule changes or whatever. Glad you are good at something. Pierce is a very good coach....but as mentioned before... he has not stayed more than 3 years at any program so he has done a good job of coaching up kids not recruited by him. Ya'll can list all the kids on our roster you want that he recruited offensively. But they are still not as good what he showed up to here taking over. He did not recruit pitchers. He did not balance the roster with players that have versatility. His own coach left b/c he didn't feel he could recruit here, then Pierce followed him out the door soon after. If Jewett came in with the same situation Pierce did, he would have had a smoother transition to becoming a head coach &, as already shown, recruited better than Pierce & his staff. Even if we would have won with our overloaded senior club, Pierce still left us in a huge disadvantage roster wise. That’s big of you to finally admit. He has in fact coached up may kids not recruited by him, that is true. But it’s not exclusively kids that he didn’t recruit. Spoon and Massey are his guys. Hoese and Gillies as well. That’s questionable. He inherited a team that won like 23 games. Allen was going to take the same position for a better salary at an SEC school. I don’t really see why you’re making this a big deal. I’m sure it is easier to recruit at Bama. Look at the recruiting rankings, they don’t show any evidence that Jewett is recruiting better than Pierce did. Which is really concerning because that’s Jewett’s whole selling point, he’s supposed to be a great recruiter. We haven’t seen it yet. Everyone fails to realize that if TJ does not show marked improvement next year he's gone. Let the season play out, but be rooting for him to succeed or admit your moral bankruptcy. For the record anyone who abandons Tulane is dead to me and should be to you as well. Anything else is disloyalty. Disagree. Maybe some of those people had great reasons to leave Tulane and if I like a guy that coached or played at Tulane and he leaves, I’ll probably still like him. I wouldn't hold you up as a paradigm of loyalty. Liking someone regardless of what jersey they wear seems pretty loyal to me. Keep deluding yourself about your loyalty to Tulane. You’re taking this way too seriously but with the effort Tulane has put forth, they probably don’t even deserve my loyalty. If being loyal to Tulane requires me to not be a fan of any players or coaches at any other schools, then I have no interest in being loyal. Don't worry, you aren't and no one thinks you are. No, you’ve misunderstood. I think this whole loyalty thing is silly. I’m not continuing to be a fan of David Pierce because I want to be loyal to him. I’m still a fan because I actually like him. There’s some guys that you like to see do well even after they leave. Jim Schlossnagle and Rich Rod are a couple more that I still like to see succeed. If that upsets you, I don’t know what to tell you. Visual, like I told you earlier - you make way too much sense. You have been a loyal greenie and will always be one. Don’t let Winbag or anyone else tell you otherwise. Remember, these will be the same fans screaming for our coaches head at some point. This is the cycle - love the coach in year one no matter what, year two the love affair starts to show cracks but rebounds in the off season and will attack any talk of discouragement, and year three the pitchforks come out and everyone from the coach to the AD is fair game. And some will even say they have been preaching this for awhile. The life cycle of being a Greenie fan is complete once again. What you have said about the baseball program and it’s current situation would be supported by 80% of the fan base. Talk to the people that actually see these kids play many games and those conversations are ugly. Jewett must win next year. Offensively, we should be a force. Defense will improve if we can find a catcher and one more outfielder. Pitching - do we have enough arms and enough control. Daniel should help. Jewett’s job is going as far as his pitchers go. Hopefully, we improve, make a regional, and Coach keeps his job. We pull for Tulane no matter who the coach is. Those who rejoice in Tulane losses and praising Tulane traitors preaching about loyalty. 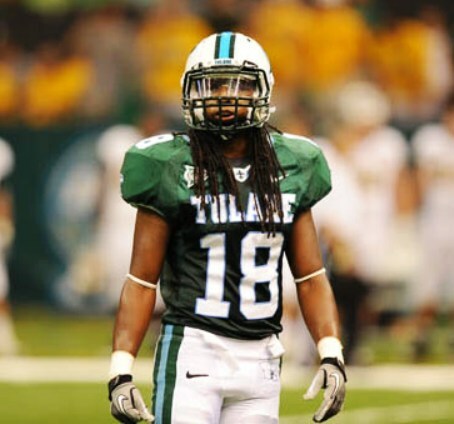 We pull for Tulane no matter who the coach is. That list proves the point that he didn't recruit well while here. Thank goodness you're just a fan and not our recruiting coordinator.